In-Vitro Fertilization treatment is a highly successful form of fertility treatment for women with unexplained infertility, endometriosis, blocked fallopian tubes or pelvic scarring, and male factor infertility. In some cases, such as when the fallopian tubes are irreparably damaged or when there is a severe male factor, IVF treatment may be appropriate as initial treatment. In most other cases, IVF treatment follows a trial of unsuccessful IUI cycles. 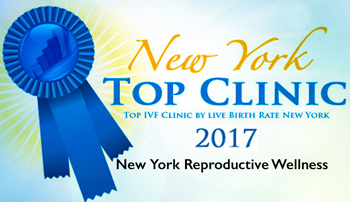 At New York Reproductive Wellness, your treatment plan is tailored to your fertility needs and involves close monitoring with blood evaluation and vaginal ultrasounds. A customized medication plan will be created using daily doses of gonadotropins (mainly follicle-stimulating hormone, or FSH) to stimulate the ovaries. A combination of other medications may also be prescribed in order to mature multiple eggs in a cycle, compared with the usual one that develops each month of your menstrual cycle. The number of eggs that are collected vary from patient to patient and cycle to cycle and depends on a number of factors including age, ovarian reserve, number and the size of your follicles. These eggs are retrieved from the ovaries, while under mild anesthesia, during your egg retrieval. They are fertilized with sperm using the latest technology, and under daily care, some develop into embryos. Following a period of incubation, embryos become available for transfer into the uterus through a soft, thin catheter. 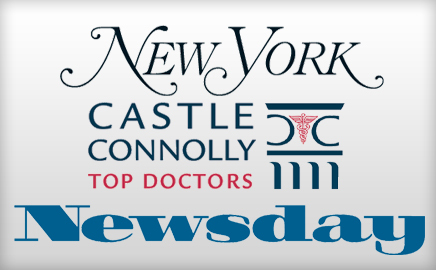 New York Reproductive Wellness recommends either cleaved embryos (day 3 following fertilization) or blastocysts (day 5 after fertilization) for embryo transfer. Dr. Zapantis will help you decide whether to transfer day 3 or day 5 embryos based on your individualized plan, age, the number and grade of the developing embryos, previous IVF cycle history, and the number of embryos a you elect to have transferred. The New York Reproductive Wellness single embryo transfer policy is used for blastocyst transfers, allowing for fewer embryos to be transferred, minimizing the risk of multiples. Any embryos not transferred but which are potentially viable may be frozen for future use using our advanced egg freezing with vitrification. Your individualized protocol is written after a careful consideration of age, diagnosis and ovarian reserve testing. Several other factors including personal beliefs and religion may also be considered. Individualized IVF protocols may incorporate the use of different types of medications available, or the use of procedures such as Intra-cytoplasmic Sperm Injection (ICSI) or Assisted Hatching. To maximize your chance of conception, NYRW offers several different types of IVF treatment including gentle approaches like Natural IVF and Minimal Stimulation IVF (Mini IVF). Recent studies have shown that less stimulation over a series of multiple cycles may have better results for some patients. Please enquire about which treatment methods are most suitable for you.